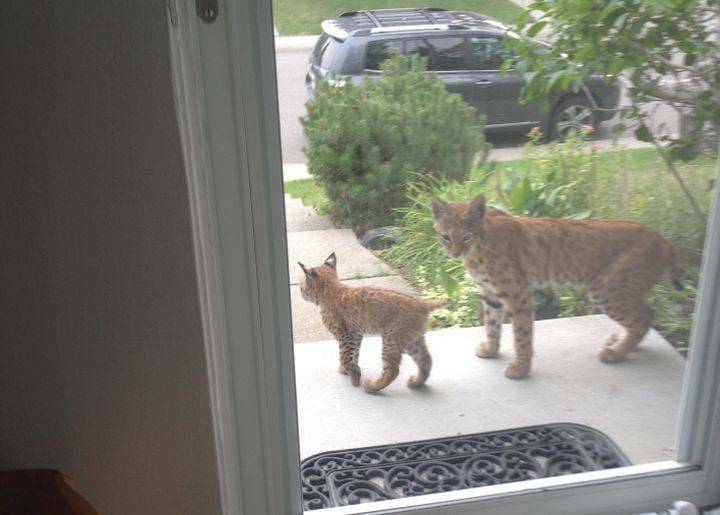 She Looked Out Her Door And Saw The Most Adorable Surprise Visitors Ever… SOO CUTE!! 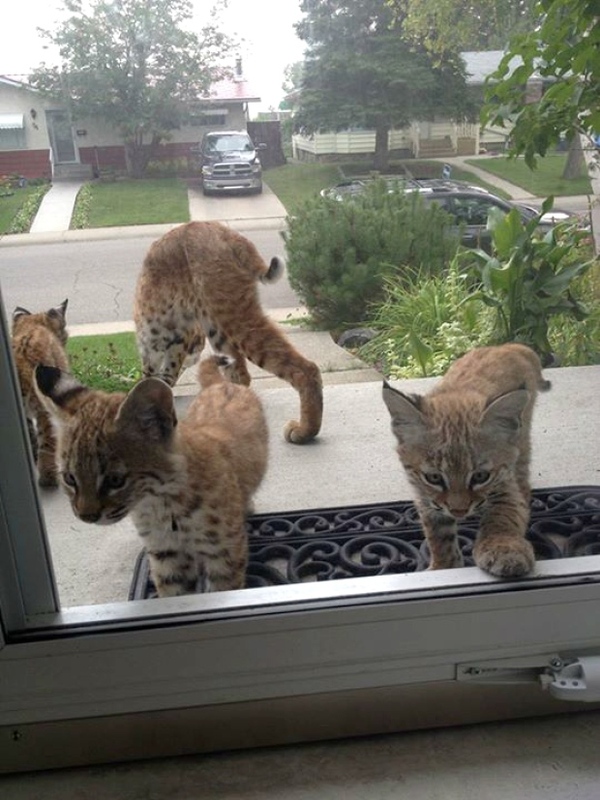 They never expected this surprise visit, but when Katherine Reiffenstein went to go outside, she saw some visitors at the door and it wasn’t what you would expect! 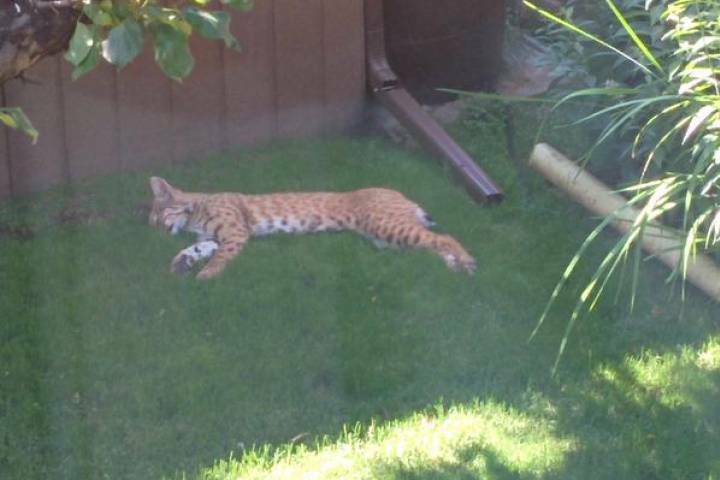 As you can see this part of the city isn’t too far out in the country, so something like his is somewhat rare to happen. 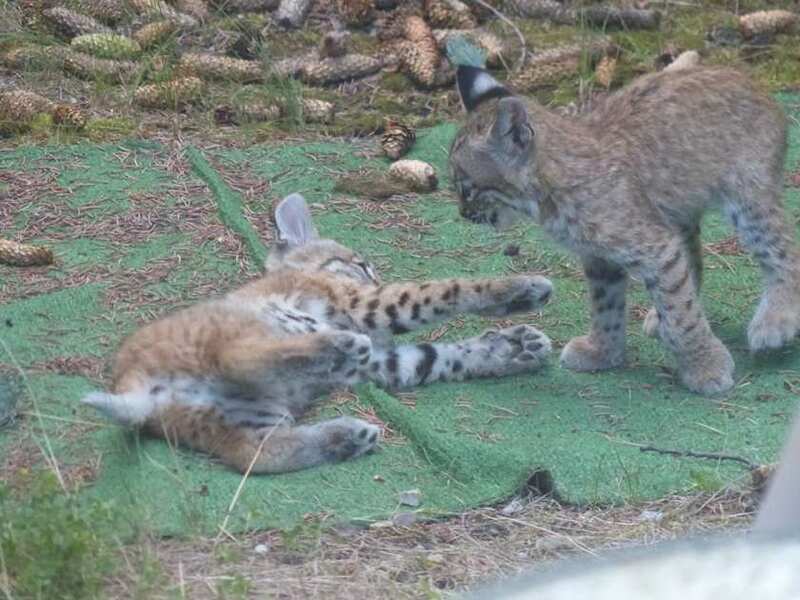 Luckily she had a camera and snapped a few pictures! 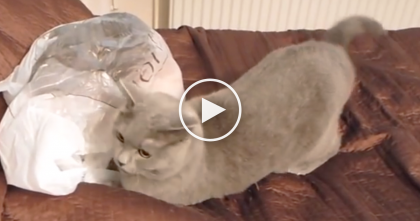 She’ll never forget this experience, that’s for sure! 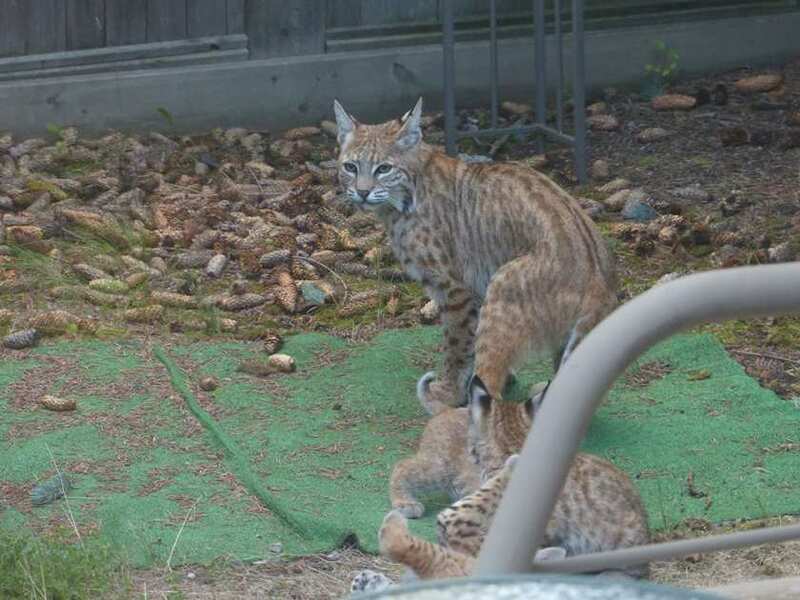 Bobcats aren’t always seen like this, in fact it’s a rare thing for Bobcats to be knocking at the doors of a neighborhood like this, but it’s SOO adorable to see such amazing animals like this! 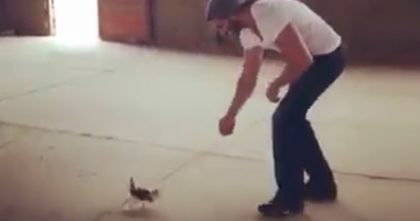 Check out the adorable little surprises below and watch the video towards the bottom where she explains what happened! 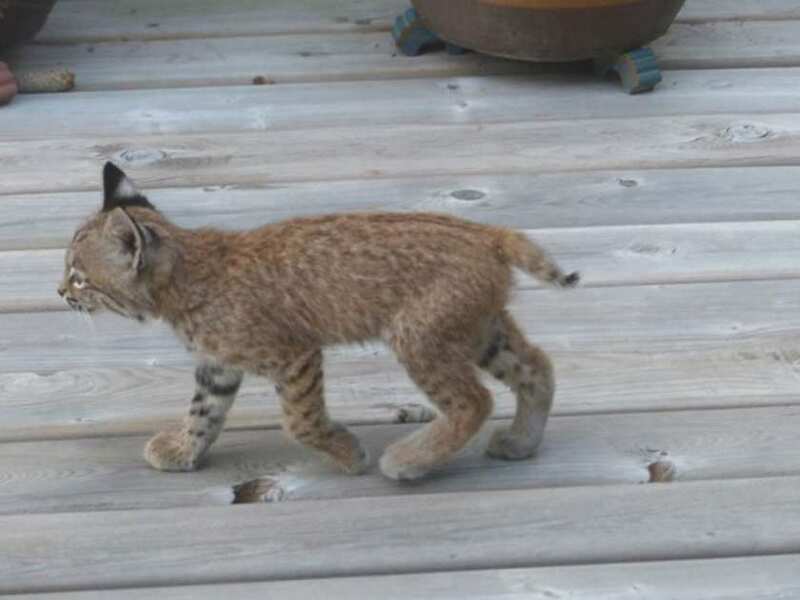 Can you imagine seeing this cute visitor almost knocking at your door? 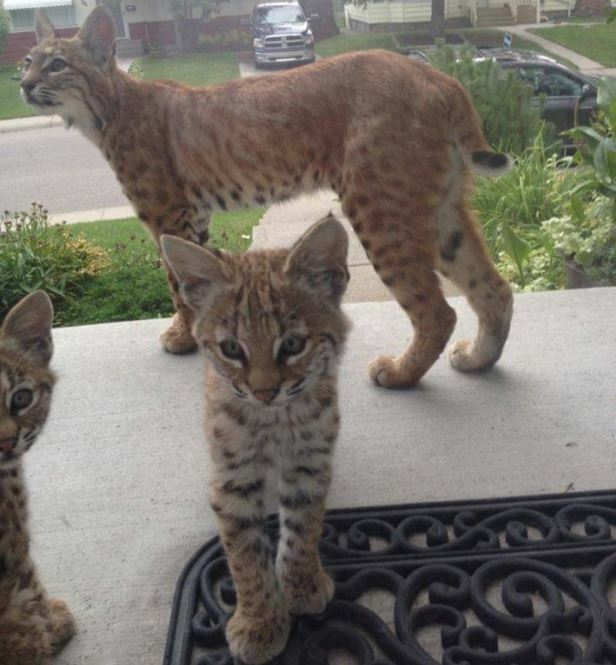 These little bobcats are SOO darn adorable!! 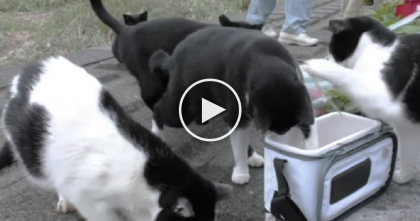 What an amazing surprise visit, these kittens are SOO adorable—SHARE this story with your friends! 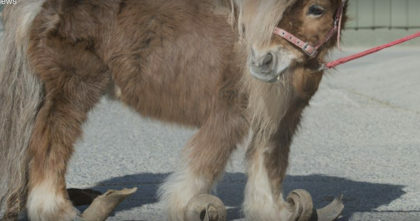 Pony’s hooves hadn’t been trimmed in over 10 YEARS… Now watch his reaction when he can finally run! 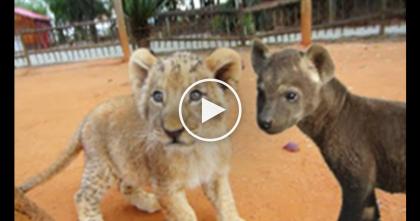 Orphaned Lion Cub Tries To Chase Animal Down, But When You See What’s Happening… WOW.